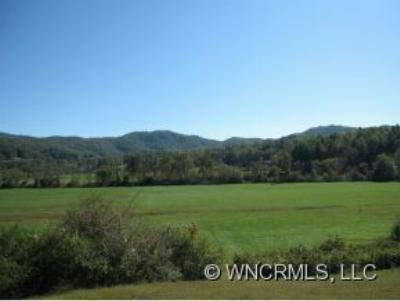 Almost 5 acres with 300' of frontage on the French Broad River in Brevard, North Carolina. This property would be perfect for an equestrian homestead offering beautiful pastures, year round long range mountain and rock face views! The upscale community offers very fair restrictive covenants to protect your investment, paved roads and a perfect location! This is a rare opportunity and seller priced it to sell fast! Downtown Brevard is located at the foothills of the Blue Ridge Mountains at the crossroads between Pisgah National Forest, DuPont State Forest, and The Gorges State Park and has a view of Bracken Mountain Nature Reserve all offering a smorgasbord of outdoor activities such as world-renowned fly fishing, kayaking, biking, hiking, and climbing. Brevard is also home to the world-renowned Brevard Music Center, Brevard College, and Transylvania Community Arts Council, bringing very diverse programs, concerts and exhibits to our mountain community. Looking for a new home in Brevard? Are you planning to sell your home in Transylvania County? My name is Jason Jacques and I am the Broker-Owner of Exit Mountain Realty and my team offers the best marketing solutions in town. Our agents are knowledgeable, experienced, and committed to producing results for you. (828) 553-0193 - or (828) 348-8056.